Missouri Gov. Eric Greitens temporarily pulled $15 million worth of funding for school transportation on June 30. Missouri Gov. 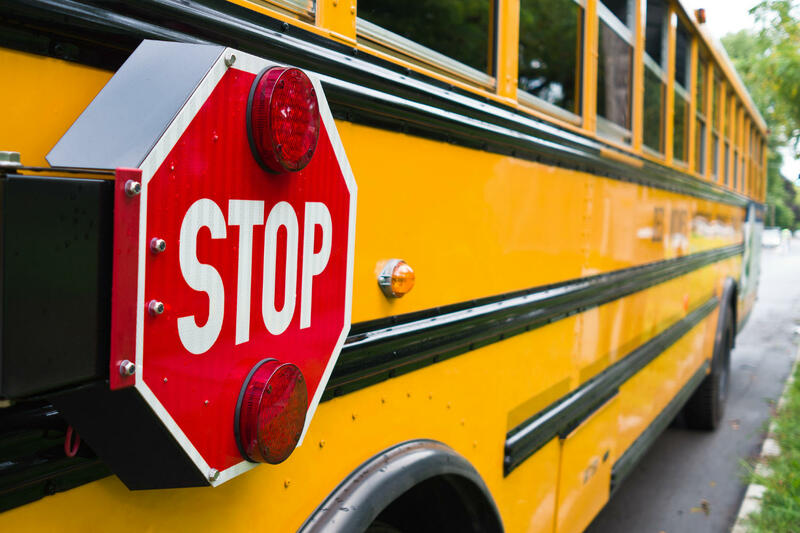 Eric Greitens temporarily pulled $15 million worth of funding for school transportation on June 30, leaving many rural districts in the lurch when it comes to paying for busing. But school administrators say they have to get kids to the buildings, so taking buses off the road isn’t an option. And parents often don’t have the means or the time to drive those long distances. The cost of running buses over dozens of miles in rural districts is going up. By law, Missouri is supposed to cover 75 percent of the cost of transportation for K-12 public schools. But the last time that happened was the 1990-1991 fiscal year, according to Debra Clink, the manager of student transportation for the Department of Elementary and Secondary Education. With the latest cut, the state will reimburse districts an average of 17 percent for transportation. Greitens, a Republican, didn’t come up with the money-saving strategy: Democrat Jay Nixon did it more than once when he was governor. “We’re getting used to it,” said Kim Gaines, the superintendent of North Shelby school district in northeast Missouri. To the southwest, near Rolla, Brad Roningen has asked the St. James School District to add more buses. His son is in third grade at a school 10 miles away from home. It’s a 15-minute car ride, but more than an hour on the bus. Riding the bus leaves Brayden, a special-needs student, “exhausted,” Roningen said, because he misses out on being able to decompress from the school day and play with his dad before buckling down for homework and dinner. “There are days that he’ll fall asleep in a chair because of the long bus ride,” Ronigen said. The Spring Bluff school district covers 65 square miles of Franklin County — small compared to some Missouri districts. Superintendent Jeannie Jenkins’ four buses rack up about 45,000 miles a year, and the district tries to replace a bus every three years. But the chances of districts being to afford to add more bus routes is slim. The Shelby County school district uses seven buses to transport half its 730 students across the southern half of the county. That cost the district $420,000 last year. The state reimbursed the district for $75,000 of that — about 16 percent. “If we don’t transport the kids, then they don’t show up,” Superintendent Tim Maddex said.